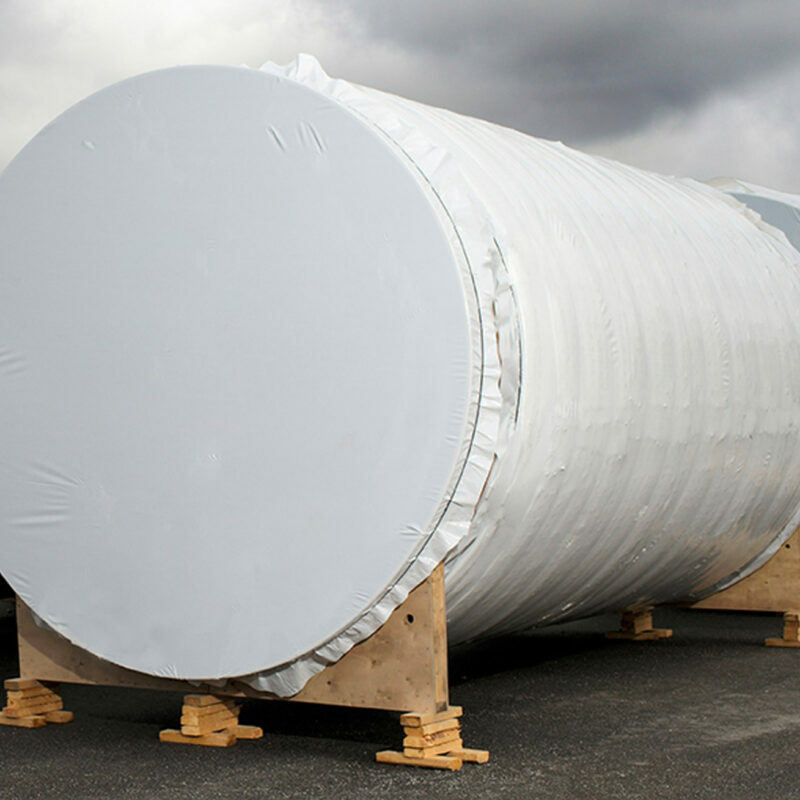 RaniHeavyShrink is a durable shrink film for packing and protecting large items. RaniHeavyShrink film is a good alternative to tarpaulins and other type of weather protection and it makes the package both durable and nice-looking. After usage the film can be combusted into energy. RaniHeavyShrink is for example used for protecting boats and for packing large industrial products, but it is also excellently suited for covering building scaffolds used for façade and roof restorations. The film is shrunk on site with a heat gun. With the help of additional equipment and accessories such as shrink tape it is possible to get tight overlaps, penetrations and larger openings in the films.